In the future, customers in a store could be recognised by facial recognition for the purposes of targeted advertising. Customers could receive advertisements a few days after they looked for sunglasses in a shop. This is similar to current examples of targeted marketing. However, this represents only a small part of something much bigger, we can not imagine now. Alongside much discussion, facial recognition is in the spotlight after Apple’s recent iPhone X conference. During the facial recognition demonstration, the technology failed. This prompted discussion about its functionality. Apple tried to explain the malfunction by stating that employees had caused the phone to lock after testing it backstage. That said, as with any new technology, it can and almost certainly will improve. However, this conversation appears quite trivial when we consider the bigger picture of facial recognition. In this article, we will consider concerns about the security of data, the use of data by big organisations and future advancements. We are using facial recognition more often than we recognise. For example, Snapchat uses facial recognition for its filters and Facebook allows people to tag others in pictures by their face. We are already living in a world where our smartphone knows a lot about us. Fortunately for users, there is regulation in place to prevent misuse of our data. While the threat of the misuse of our data is a hot topic, people are still likely to use Snapchat filters regardless. This is despite the fact that we subconsciously or otherwise trust Snapchat with many of our personal pictures or messages. After the increase of the threat of terrorism, governments want to push forward the use and advancement of facial recognition to increase security. One example would be the recent testing of this technology at the entrance and exit of the Berlin train station with 300 participants. The voluntary participants were observed through 3 different cameras over 6 months to test the technology. In the USA, more than half of the population are registered in a facial recognition database just by having a driving license. The vast majority have been unaware of this up until recently. Furthermore, it has been found that 15% of all investigated suspects have been wrongly identified. However, while this has caused criticism, in actual fact many people are wrongly investigated or falsely accused with other investigative methods. Furthermore, it is certain that this technology will improve and will be used to combat crime more effectively. Until now, many people have not been aware that such opportunities exist. Even states and major companies like Facebook or Google are working on face-recognition technologies. Companies like Google see new opportunities for this alongside Augmented Reality. The interest of big companies like Google shows that this technology will be very important for the future. That said, with Facial Recognition, many questions could arise due to the lack of privacy protections and transparency. Companies like Apple are incorporating facial recognition into their products to increase convenience and security. It takes very little time or effort for your phone to recognise your face and unlock. Furthermore, a password can be obtained through software hacking or, more obviously, by observing you typing it in while you are unaware. Replicating your face to unlock a device is of course much more difficult. However, facial recognition brings with it a number of privacy issues. The features of using facial recognition on the iPhone X, for instance, distracts from potential security issues. However, there are many issues that we as consumers should be aware of. The war between facial recognition advocates and the anti-surveillance opposition will likely affect all of us in the future. The less we are aware of facial recognition use by powerful organisations, the more we open ourselves up to misuse it. Is all of this necessarily a bad thing? As mentioned, the U.S. government has stored images of a large amount of their population. This data is vulnerable to attack and open to misuse if it falls into the wrong hands. Even if people know they’re in a database, they still can’t affect how the data is used by the government. Ultimately, the data will be used however those who hold it see fit. In terms of preventing terrorism, governments may be likely to prioritise the safety of people before the citizens’ rights and data protection. As with most new technology, regulation is lacking. Another big question is, how can we exclude vulnerable demographics from facial recognition? Many of the articles written recently about facial recognition focus on the negatives. However, it is important to recognise that it is a new technology. Therefore, these negatives are likely born out of the instability of facial recognition. The more regulation that is introduced, the more people will be aware of facial recognition. Thus, facial recognition should become more stable. While it can now be used to check the identity of someone, technological advancements could mean that further characteristics could be recognised. A recent study found that even political preferences and IQ could be detected through cameras. Even someone’s “criminal disposition” and many other personal details could be gathered. That said, much advancement is needed in order to improve the accuracy rate of the existing technology. To use it for legal purposes, facial recognition has to be faultless. 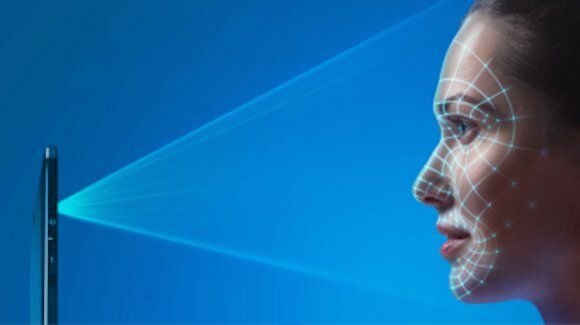 For example, if a criminal has been identified by facial recognition, it has to be proved in a court of law that the system is accurate and consistent. Furthermore, criminals can avoid facial recognition by wearing commonly worn clothing such as glasses or a scarf. Now is a good time to develop a facial recognition based app. This is because the technology has advanced to the point where it is used effectively. For example, it is used in Snapchat without many problems. While it is now at an acceptable level of functionality, in the future it will continue to improve and the new possibilities may become implementable in your app. Here are two bits of advice when developing such an application. Firstly, the application should include the functionality to link to social media as this will provide a great platform for your audience to demonstrate the capabilities of your app. If they are posting their results from using your app on social media, this will create positive word-of-mouth. Of course, providing that your app utilises the impressive technology. Secondly, the app has to have permission to use the existing front camera. This is something that is very easy to forget. We assume, that if the governments do not handle the risks of facial recognition in terms of regulations in the future, one can no longer presume to be anonymous in public. So how can app developers benefit from this new trend? The technology may be seen as dangerous or not. However, a world where data will be collected and passed around as we walk around in public is certainly very different from what we experience now. While there are a number of risks involved with facial recognition, it also offers many solutions. Recently we talked about IoT and how you can connect devices in your home to the internet to make them ‘smart’. In combination with facial recognition, the door to your home can recognise you and unlock as you walk up to it. A more well-known solution is the easy access to your phone by using facial recognition, as the front-facing camera is turned on and recognises you as you lift the phone up in front of you. Furthermore, the technology can help you find lost relatives or friends when visiting an unknown city. This can be done by uploading a picture of someone to a website or tool which matches the photo to a profile of a person in their database. Thus, information can be gathered from this. Last but not least, making the world a safer place, facial recognition could identify criminals, presupposed that the accuracy rate is nearly 100%.